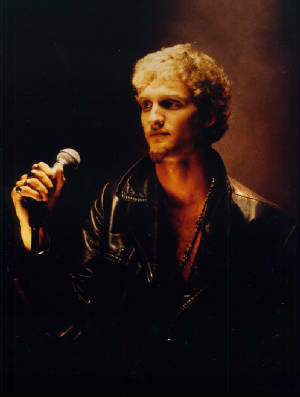 As many of you know, Layne passed away due to a physical overdose from a mix of two narcotics, cocain and heroin, most commonly referred to as a "speedball". * When heroin is first injected into the body, the brain's chemisty reacts with the toxins from the heroin to give the individual a sense of euphoria. This is felt within 7 to 8 seconds of ingestion, and (correct me if I'm wrong) usually lasts for up to an hour. How long this lasts depends upon the amount consumed, and how rapidly the drug enters the brain. The rush is usually accompanied by a warm flushing of the skin, dry mouth, and a heavy feeling in the user's arms and legs. They may also experience nausea, vomiting, and itching. Following this, the user will be drowsy for several hours with clouded mental function and slowed cardiac and respiratory function; almost to the point of death. *Repeated use (and this is so damn obvious!) produces tolerance and dependance. The body adapts to the prescence of the drug, and thus the basis for the user's on-going obsession to find more. Withdrawal symptoms begin within a few hours of last use...(take note of this, everyone! )and can include restlessness, muscle and bone pain, insomnia, diarrhea, vomiting, cold flashes with goose bumps, and involuntary leg movement. These peak between 24 and 48 hours after the last dose and although they generally subside after about a week, they may persist for up to several months. *Other effects: Fatigue, a change in "reality"--like the world no longer exists around them, and a decrease in both mental and physical function. *Solube cocaine is sometimes injected, but the usual method is for a small amount to be sniffed or snorted up the nose through a small tube, become absorbed into the bloodstream through the nasal membrane. However, a smokeable form of freebase cocaine ("crack") is also common. Crack is purer and more concentrated than soluable cocaine and is absorbed into the body faster than if it is snorted. * Cocaine produces feelings of well-being, mental exhilaration, reduced appetite and great physical strength and mental capacity (Ergo, you feel like a damned Hercules.). However these feelings can often be replaced by feelings of anxiety or panic. *When snorted, the effects of cocaine peak in somewhere between fifteen minutes to a half an hour, and then fade, encouraging the user to repeat the dose in order to maintain the effects. Large doses or lots of quickly repeated doses over a period of hours or days can lead to extreme states of agitation, anxiety, paranoia, and possibly hallucinations which generally fade when the drug leaves the body. After effects can include fatigue and depression. * Excessive doses may result in heart failure. Long-term users do not necessarily develop tolerance, but are often tempted to increase doses for a more intense effect. Discontinuation of the drug produces fatigue, sleepiness, and depression, which can encourage users to continue using to alleviate the effects. * Chronic long-term use results in: restlessness, over excitability, and feelings of nausea. This can also lead to paranoid psychosis. Regular usuers may appear chronically nervous, excitable, and paranoid. Confusion with exhaustion due to lack of sleep is common. These effects may all disappear with discontinued use over time, but a paranoid mental state may be irreversable and permanent. * The mixture of the two drugs into an intravaneous syringe to be injected into the bloodstream. The cocaine acts as a stimulant, raising the heartbeat, but the effects of it wear off more quickly than the heroin, which results in a slowing of the heart. As a result, a delayed "overdose" is generally experiennced (i.e. severe respiratory depression--aka it's really hard to breathe) when the coke wears off and the full effects of the heroin are felt. 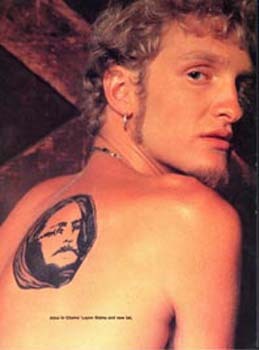 Meth has also been known to be used in place of the coke. Some people also use it with crack cocaine. Speedball increases the greater severity of psychiatric disorders, higher incidence of failure in drug treatment, and increased risk of contracting HIV. Please bear in mind that nothing is as important as a twelve step recovery program (for any individuals currently addicted, I am strongly urging you to find one in your area); but these are some of the drugs currently being used to treat these horrible addictioins. According to the National Institue on Drug Abuse, NIDA supported researches from Harvard Medical School-McLean hospital found that a combination of the drugs buprenorphine and indatraline reduced the self-administration of "speedball" in monkeys. (Incidentally, the monkeys were trained to self-administer. Better talk to PETA about that one.) **The article I read (where this is all from) also states that methadone, which we'll learn about eventually, is only MODERATELY EFFECTIVE in treating speedball abuse. At the moment there are NO EFFECTIVE MEDICATIONS (Good to know.) for treatment of cocaine abuse. I.E. FIND A TWELVE STEP PROGRAM...it will SAVE YOUR LIFE!!! Even if you don't think you're ready for one...GO! Don't be stubborn and put your life on the line...GO! "Clinical experience has shown that the most effective medications currently available to treat drug abuse have two distinguishing charectoristics. First, these medications produce behavioral effects that are similar to the abused drugand minimize or prevent withdrawal symptoms (Okay, so they're out there, they're just not on the market yet.) SEcond, these medications have a slow onset and long duration of action, resulting in a lower potential for abuse than rapid-onset, short acting drugs such as heroin or cocaine Indatraline, a dopamine reuptake inhibitor, and buprenorphine, an opioid mixed agonist-antagonist (no clue what that means) each meet both of thse criteria. Both drugs have a long duration of action; bupreneorphine produces behavioral and physiological effects similar to heroin; indatraline is an EXPERIMENTAL DRUG (Meaning, don't ask me where or how you get it) that produces cocaine-like effects." I could go on about the monkeys in this article, but I'm not gonna. For right now, anyway. Methadone is a synthetic narcotic similiar in effect to morphine. It came into use after World War II. It is sometimes used as an analgestic and to suppress the cough reflex. This is what I have so far. I am not a doctor, and I advise you to seek one out if you have any further questions about these medications. I am only seeking to further educate.